The University of Delaware offers students a wealth of opportunities to get involved in research. UD is classified by the Carnegie Foundation for the Advancement of Teaching as a research university with very high research activity--a designation accorded to fewer than three percent of the more than 4,300 degree-granting institutions in the U.S. This page highlights opportunities available at UD, with links to a variety of external resources. Provides a list of external resources to aid your scholarship search. 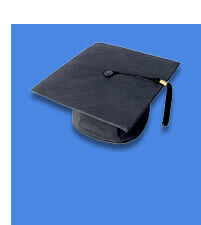 Provides access to FastSearch, a free database of 400,000 scholarships. Provides information about student financial aid at all levels. Offers search tool for nearly $8 billion in scholarships. Provides access to an award database that contains more than 2.8 million scholarships worth over $16 billion. Provides unlimited access to a database of 2.7 million awards worth over $19 billion. Search through thousands of scholarships and grants, many administered by UNCF. Provides access to a graduate fellowships in engineering and science awards. The U.S. Defense Department annually supports approximately 8,000 graduate students in fields important to national defense needs. NSF offers approximately 1,100 graduate fellowships annually in this competition.